Diversity has long been part of the fabric of Los Angeles and Southern California. Humans first arrived here at least 13,000 years ago and more than twenty Native American nations made their home here before the Spanish Conquest. The Spanish pueblo of Los Angeles was itself founded by people of Native, African, European, and mixed ancestries and in its early years as an American city it attracted substantial numbers of Armenians, Basques, Canadians, Chinese, Dutch, French, Germans, Irish, Italians, Japanese, Jews, Mexicans, Russians, Serbians, Sicilians, and others. For some, ethnic enclaves came into existence (and often vanished). Other people have tended to spread out across the region rather than cluster together — which makes exploring their presence in Southern California more difficult but no less rewarding. Most “overseas” Indonesians don’t actually live “over seas” but in neighboring Malaysia, a country with which Indonesia shares the island of Borneo. Another 410,800 or so Indonesians live in the archipelagos former colonizer, the Netherlands. The US has third largest population of Indonesians living outside of Indonesia; the 2010 census revealed that 95,270 Americans of Indonesian ancestry live in the country. Roughly a third of all Indonesian-Americans live in the Los Angeles metro area. In the Los Angeles area, however, the Indonesian population is rather diffuse, although Alhambra has the second largest population after Los Angeles. Neither city (nor any in the country, for that matter) has an official Little Jakarta or Indotown. Considering Indonesia is the fourth most populous country in the world, it’s surprising how few associations most Americans (and probably non-neighbors) have with it. Consider the stereotypes and tropes attached to China, India, and the US — or even the fifth largest country — Brazil. Indonesia, on the other hand, tends to elicit nothing but a blank stare — at least among the people to whom I’ve mentioned it. To most Americans, “Indo” is a crossbreed of cannabis and the most famous Indonesian is Ardi Rizal — who’s not even known by his name or nationality but rather as that “fat smoking baby in the viral video.” Rizal has supposedly kicked his nasty habit; unfortunately the same can’t be said for the planet and its addiction to palm oil. The deforestation fueled by our own nasty habit amounts to ripping out our planet’s lungs. 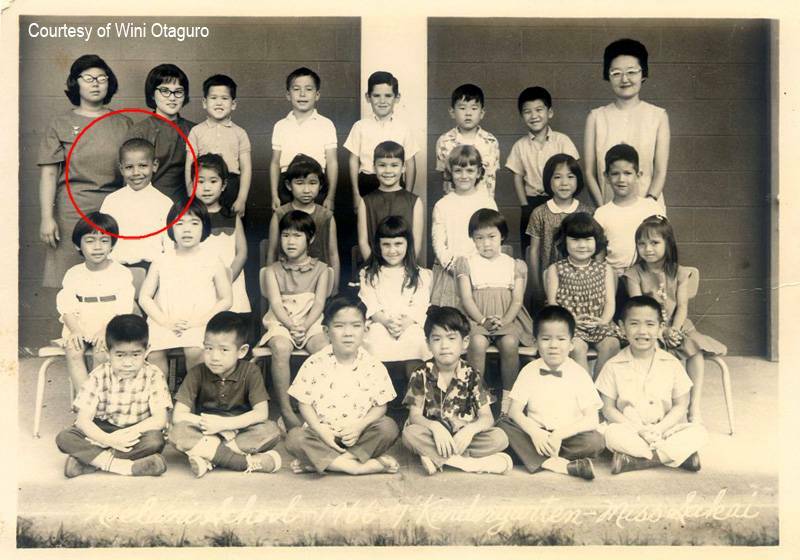 The most famous American with Indonesian roots is President Obama spent a chunk of his childhood there (after leaving Kenya, of course) but he’s not exactly the typical Indonesian — if there is such a thing. It’s entirely possible to have associations with regions of Indonesia without even being aware of what country said regions are part. For example, we tend to think of batik and wayang as being from Java, gamelan (and Balinese cats) as Balinese, wild men as coming from Borneo, Komodo dragons as coming from Komodo, and fat smoking babies as coming (along with tigers, rhinos, and elephants) as hailing from Sumatra. Indonesia is an ethnically and geographically varied place. As a unified republic, it’s a pretty modern invention, created as it was in 1945. The term “Indonesian” refers to the inhabitants of 17,508 islands who represent more than 300 native ethnic groups and who speak about 737 languages. Indonesian, as an identification, isn’t especially closely entwined with any one ethnic group or the inhabitants of any one island although 58% of Indonesians live on Java and 42% of that island’s inhabitants are ethnically Javanese. Other large ethnic populations, in descending population size, include the Sundanese, Malay, Madurese, Batak, Minangkabau, Betawi, Bugis, Bantenese, Banjar, Balinese, Tionghoa (ethnic Chinese), and Makassar peoples. Map of the Indies from Cary’s New Universal Atlas, containing distinct maps of all the principal states and kingdoms throughout the World. From the latest and best authorities extant. London: Printed for J. Cary, Engraver and Map-seller, No. 181, near Norfolk Street, Strand, 1808. 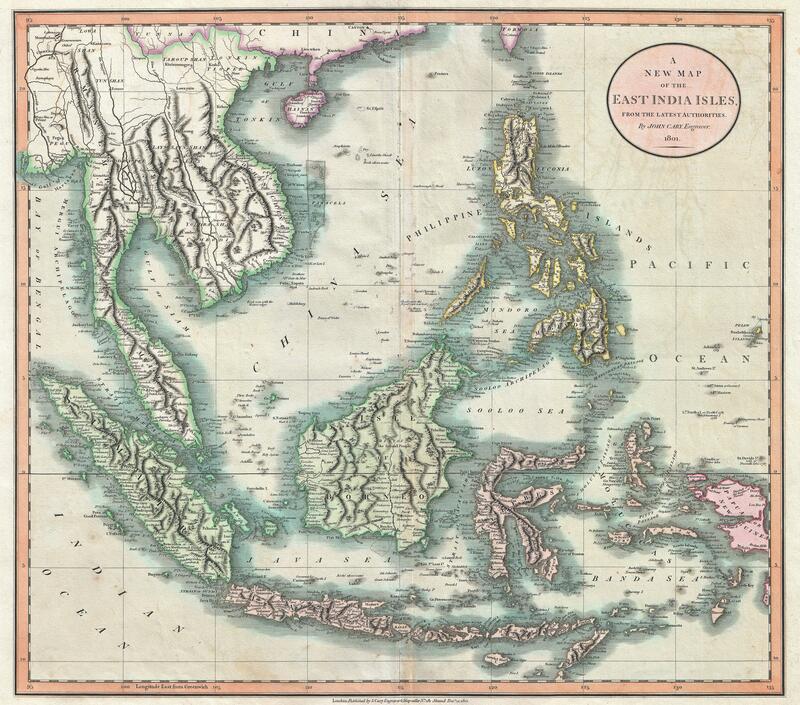 The first Indonesians to immigrate to the United States were primarily not of any of those aforementioned ethnicities. Nor were the first people in Indonesia of any of them. The first Indonesians to immigrate to America were the so-called Indos were the result of the Dutch East Indies long presence in the archipelago (part of what they referred to as the “Indies“). As for who the first people to immigrate to Indonesia were, that depends on one’s definition of people. The extinct Homo erectus arrived in Java around 1.5 million years ago. 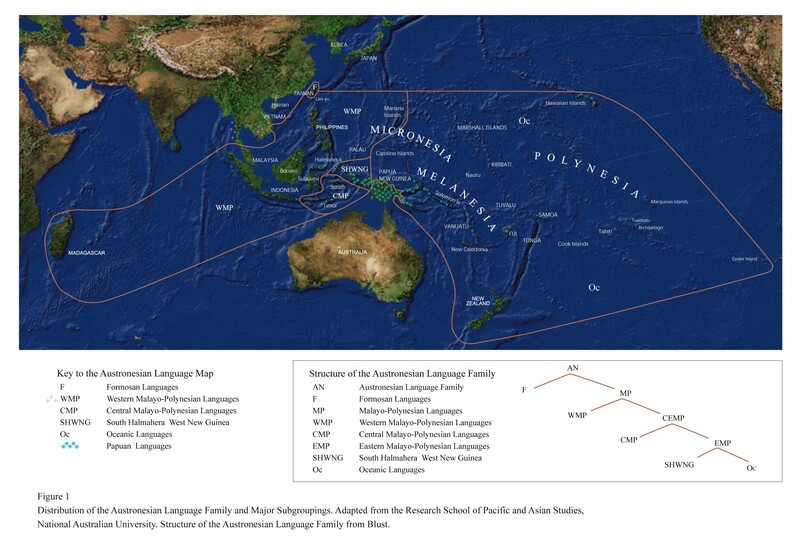 In fact, homo erectus fossils were discovered in Indonesia in 1891 and ’92 and he was originally named “Java Man.” Much more recently, perhaps a mere 70,00 years ago, the ancestors of the Papuans (as well as other Melanesians) arrived in the archipelago as they migrated toward Australia. UNPO member West Papua, half of the Papuan homeland, was “annexed” by Indonesia in 1963 and the people have suffered horrendous human rights violations and exploitation at the hands of successive Indonesian governments. Unfortunately, Indonesia’s multi-ethnic nature has often been a source of strife although the optimist in me thinks that even as atrocities continue, things are slowly getting better. 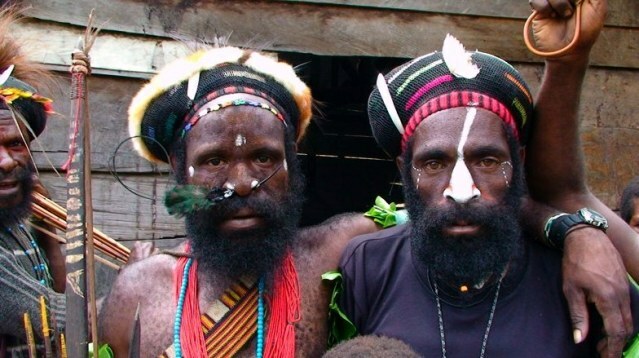 (Click here to get involved with protecting Papuans through Survival International). Austronesians (the ancestors of Taiwan‘s aboriginal tribes, Filipinos, Hawaiians, Malagasy, Malaysians, Maori, Micronesians, Polynesians, &c) arrived from Taiwan around 2,000 BCE. They settled in and and historically dominated the islands west of Papua. The Maluku and Banda islands were once the only source of mace and nutmeg and an important source of cloves (clove cigarettes, or “kreteks” are still the most popular type of cigarette in Indonesia). 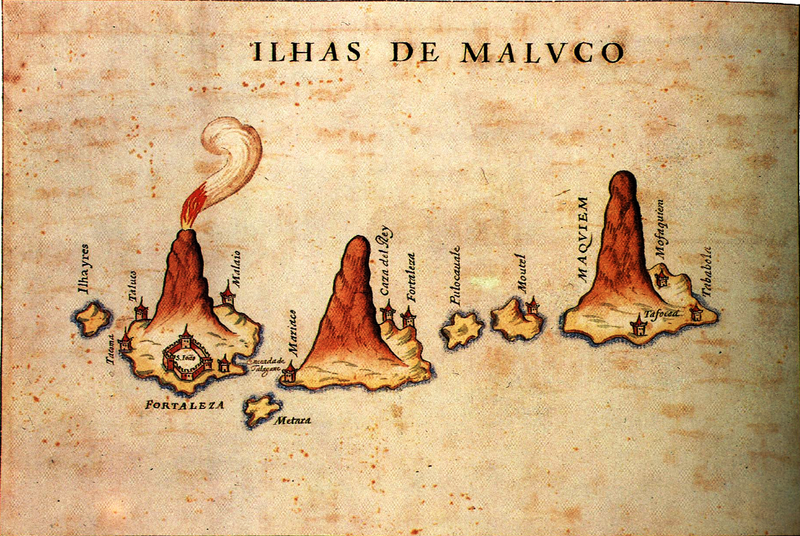 They came to be known as the Spice Islands both to the Chinese and Europeans. 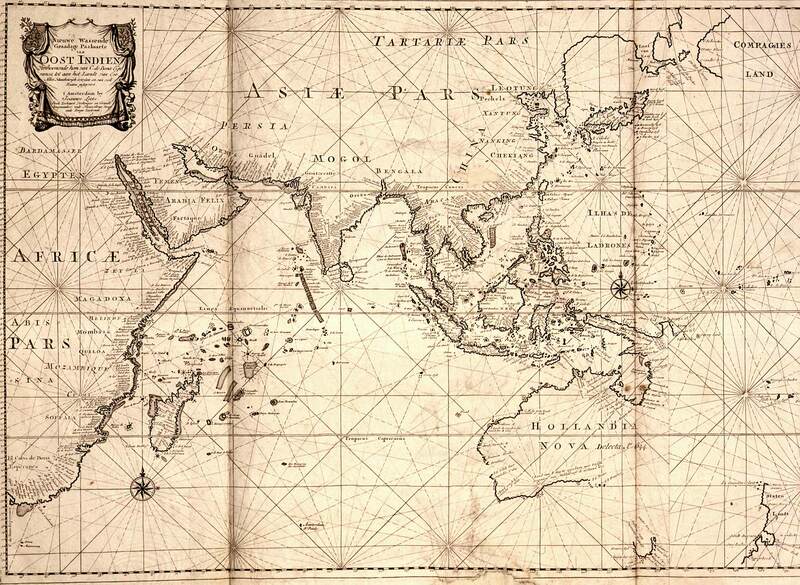 It was to the Spice Islands that Columbus was attempting to sail when he “discovered” the long-inhabited islands of the Caribbean, located some 18,000 kilometers distant. Map of the East Indies; the official trade zone (octrooigebied) of the VOC according to the VOC Charter, which was between Cape of Good Hope (South Africa) and Street Magallan (South America); printed c. 1700. The Dutch East India Company (the Vereenigde Oostindische Compagnie aka VOC) was established in Indonesia in 1602 and was later taken over by the Dutch Republic (Republiek der Zeven Verenigde Nederlanden). They remained in control of the islands until 1942 when they were deposed by the Japanese — who occupied the islands until 1945. After the defeat Japan in World War II, the Dutch returned to power and it wasn’t until 1949, following years of armed and political struggle, that the Dutch finally pulled out for good. However, the influence of centuries of Dutch colonization Indonesian cuisine are still evident in both countries’ cuisines. 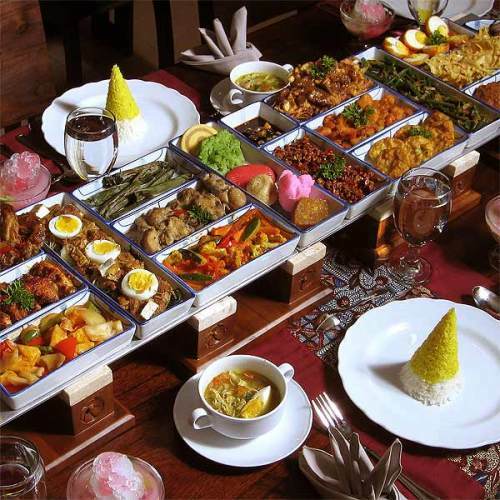 In the Netherlands the rijsttafel (“rice table”) reflects influence of Indonesia. In Indonesian markets, the sweets aisles are conspicuously filled with Dutch chocolates (and if you’re lucky, salty liquorice). Dutch or mixed Dutch and Indonesian Indos (who include among their Southern California ranks, Alex Van Halen, Eddie Van Halen, and Mark-Paul Gosselaar) were the first Indos in the US. They came to Berkeley in 1953 to study medicine as part of program run by the International Cooperation Administration (now the US Agency for International Development). Soon, the heavily Dutch dairyland of North Orange County (then home to the towns of Dairy City and Dairyland) and Southeast Los Angeles (then home to Dairy Valley) became the primarily destinations for Indo immigrants, along with the neighboring San Gabriel Valley and the inner Inland Empire. Permanent settlement of Indonesians in the Los Angeles area increased after the passage of the Immigration and Nationality Act of 1965 which opened (once it was enacted in 1968) the door a bit wider for non-European peoples. Indonesia’s so-called “Transition to the New World Order” kicked off a period of chaos, violence, and persecution in the second half of 1960s. Most of the hatred was aimed at the ethnic Chinese (Indonesian: Tionghoa; Chinese: 印度尼). Another round anti-Chinese violence erupted in 1998, following government crackdowns on Chinese schools and institutions. Not surprisingly, that led to an increased number of Chinese-Indonesians seeking asylum. Thankfully, things seem to be improving for Chinese in Indonesia in the new millennium. In 2000, public expressions of Chinese culture were once again permitted and in 2002 the Lunar New Year was actually declared an official holiday. 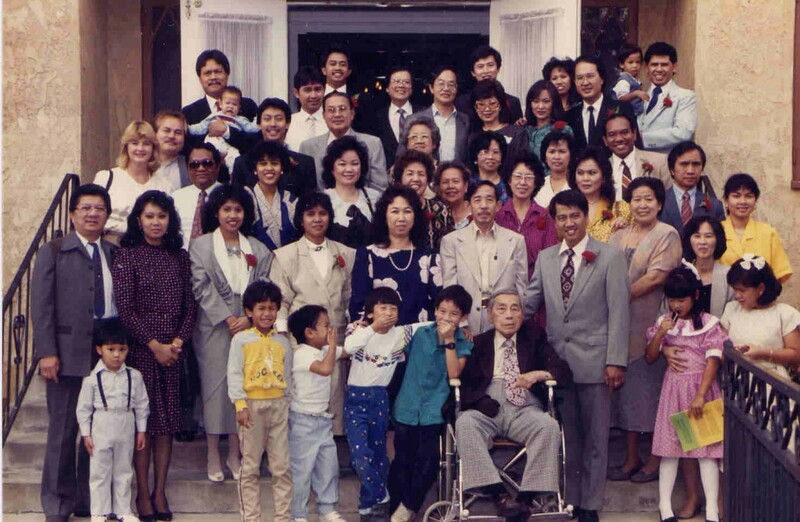 Still, today an estimated 60% of Indonesian-Americans living in Southern California are ethnically Chinese. One notorious Tionghoa of Los Angeles is wine fraud-perpetrator Rudy Kurniwan (né Zhen Wang Huang). Rudy was born in Jakarta in 1976 and moved to Los Angeles, where he attended California State University, Northridge on a student visa. In 2006 he sold negociant Burgundy re-labeled as more expensive wine and attempted to sell them at auction. He was arrested in 2012 at his home in Arcadia, convicted, and sentenced to ten years imprisonment. Two of his mother’s brothers, Hendra Rahardja and Eddy Tansil, have also done time for fraud. The story was recounted in the 2016 documentary, Sour Grapes. In Indonesia, 90% of the population are Muslim and Christians are only a small minority. In the US, however, the vast majority of Indonesian-Americans identify as Christian and it’s often been said that Indonesians tend to identify more along Christian denominational rather than ethnic ones — although the two identities are often intertwined. The first Indonesian church in the US was a Seventh-day Adventist Church, (Azusa Indonesian American SDA Church) established in 1972 by Glendale Indos (it has since relocated to Azusa). The second Indonesian church was a Baptist and predominantly Chinese congregation, (First Indonesian Baptist Church of Los Angeles), which met in Temple City and Rosemead before settling in Monrovia. Other Indonesian churches in the Southland include Indonesian Ecumenical Christian Church (in Loma Linda), Indonesian Evangelical Church (Azusa), Indonesian Presbyterian Church of Fullerton (Fullerton), Indonesian Seventh Day Adventist Church (in Ontario), Indonesian Worship Church (San Gabriel), Jemaat Kristen Indonesia Imnl (Downey), Loma Linda Indonesian Seventh Day Adventist (in Redlands), Marantha Christian Fellowship (Northridge). Many of the Southland’s minorities are represented on television and radio stations but for the most part this doesn’t seem to be the case with Indonesians. In 2004, pan-Asian LA 18 began airing Indonesian religious programming JKI Hosanna/RG Ministries as well as Indonesian English News but I’m not sure if either survived television’s transition into the digital age. Indonesians in the Southern California have founded several newspapers in the region, however. The first, Indonesian Journal, was founded in Fontana in 1988. Loma Linda’s Actual Indonesia News came along in 1996. Other Indonesian news outlets include Indonesia Media (published in Glendora), and The Indonesia Letter. I don’t remember what the impetus was for my first listening to Indonesian music — probably just curiosity or the fact that rock radio was taken over by the likes of Better Than Ezra, Dishwalla, The Verve Pipe and their ilk. I don’t remember which Indonesian compact disc I picked up from the library but, like a lot of them, the cover depicted a costumed, Balinese dancer and it probably included a descriptor along the lines of “enchanting” or “mysterious.” To my ears, it was just about the most wonderful thing that I’d ever heard and afterward I grabbed some of David Sidney George Lewiston’s recordings of Balinese musicians made in the 1960s and ‘70s and anything else I could find (which wasn’t much). 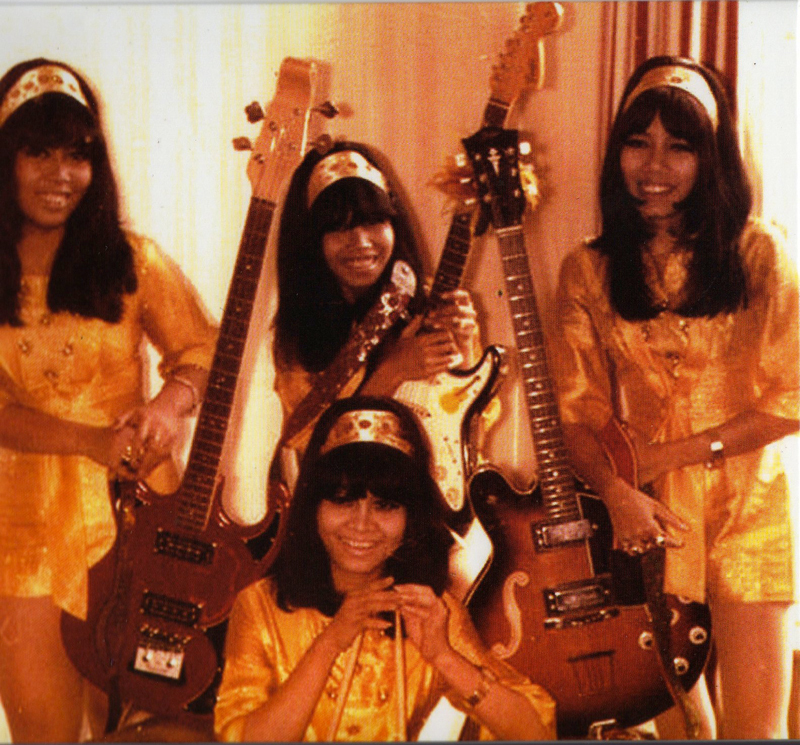 It was about five years later that I even thought of listening to Indonesian rock music, although I discovered that the way bands from Burma, Cambodia, Indonesia, Singapore, and Thailand took garage psychedelia, surf, and pop and transformed it into something new was also to my liking. I don’t have a sense of how popular traditional music was in Indonesia in the 1960s but playing rock music could be apparently be a bad career move for a musician, as the members of Koes Bersaudara (later Koes Plus) found when they were arrested for the crime of covering a Beatles tune at a house party in 1965. Dara Puspita formed in Surabaya, in 1964. They too faced hostility from the Sukarno regime, but simply relocated to Thailand until Sukarno was gone, and then released Jang Pertama in 1966. It was followed by several more albums before they disbanded in 1972. For whatever reason, it’s now apparent that all varieties of traditional Indonesian music and instruments are especially pleasing to my ears including Portuguese-derived kroncong (and kerocong tugu) of North Jakarta and Maluku, angklung of West Java, and the sasando of East Nusa Tenggara (provided they’re not being used to abuse some terrible song on Indonesian Idol). Gamelan music, though, (and not just the Indonesian sort) has continued to hold a special place in my heart. When they compiled the Music from Earth compilation and sent it into space on Voyager, a Javanese gamelan song, “Kinds of Flowers,” was given the second track, right after the first movement of Bach‘s Brandenburg Concerto No. 2 in F.
In 2010 I got to experience a performance at Royce Hall by the 26-member music and dance ensemble, Gamelan Çudamani. I have almost no idea what the music is trying to convey; to my western ears, it is mysterious, alluring, and hypnotic. Then again, upon hearing the same music a friend asked why I was listening to Christmas music! In 2017, Indonesian rapper Rich Brian (formerly known as Rich Chigga) moved from Jakarta to Los Angeles, where he currently resides. It’s my opinion that more than music and film, the most accessible entry point into most cultures is through the stomach. 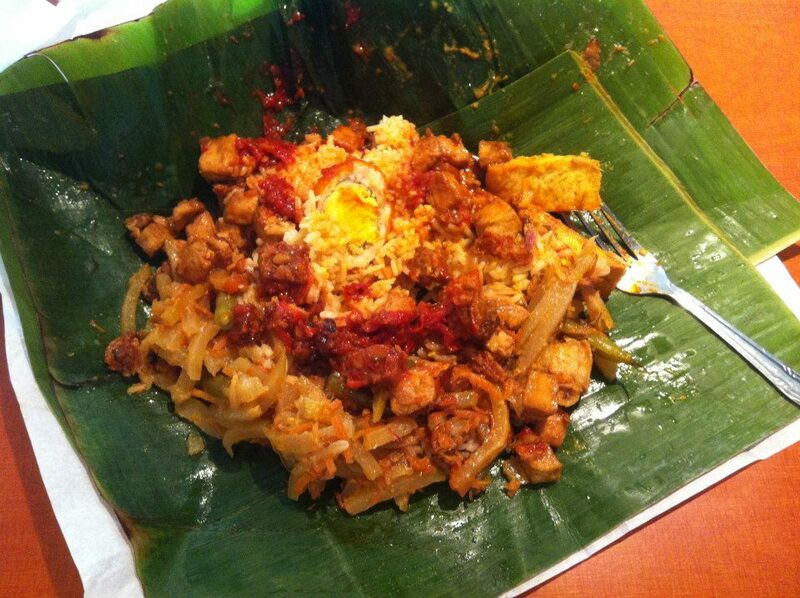 Despite its relative obscurity, Indonesian Cuisine is surely one of the world’s major ones. 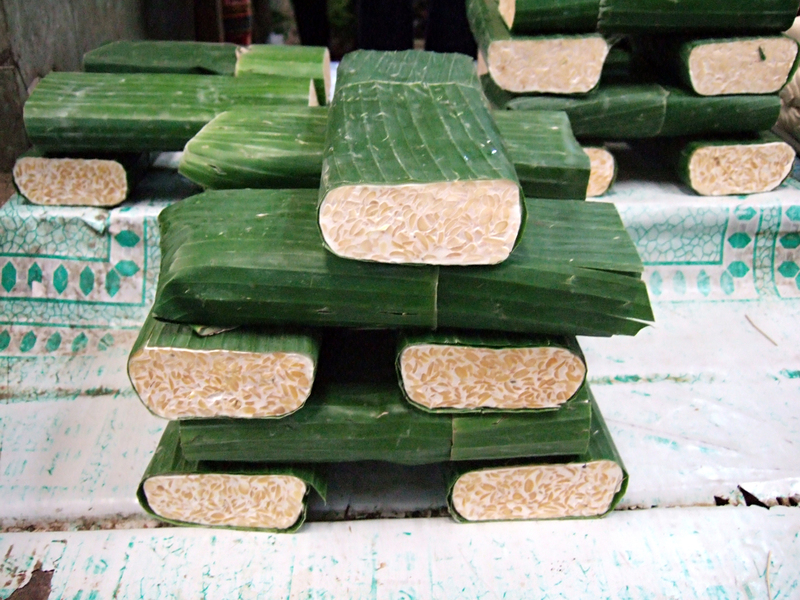 As will all major food traditions, it’s influenced by the outside world (in Indonesian’s case, primarily Chinese, Dutch, Indian, Middle Eastern, Portuguese, and Spanish) and its influence can be detected in the cuisines of its neighbors (especially Malaysian, Melanesian, Polynesian, Singaporean, and Thai). The synthesis is easily recognizable as something complex, distinct, and delicious. Despite all of this greatness, the only Indonesian culinary invention known to a significant percentage of non-Indonesian-Americans is tempeh, a fermented soy food which like China’s tofu is beloved by most who’ve eaten it but seems to frighten the certain insecure types for whom soybean derivatives are somehow threatening to ones sexual security. Both those who love tempeh and those who are traumatized by tempeh are in luck, however, because there’s a lot more to Indonesian cuisine than than just beans. My own Columbus moment with Indonesian food came around 1998 when in an attempt to avoid the almost endless rush hour crush from Santa Monica to Chino I tried to take National Boulevard and was blown off course. I washed ashore at the doorstep of Indo Café in Palms and — having never had Indonesian food before — did the only sensible thing that I could think of and ordered dinner. For years afterward the intense and unfamiliar flavors lingered in my memory like a wonderful, vivid dream. The problem was that my hazy memory didn’t record the restaurant’s name and to this day I have a hard time getting my bearings anywhere west of La Cienega. To make matters worse, the internet was something that came on a disc in the mail and phones could only make phone calls. As I scoured the Westside in search of this edenic dining experience, I found and ate at Ramayani (Los Angeles’s oldest Indonesian restaurant) in Tehrangeles and Simpang Asia, also in Palms. At Simpang I’d been very close — Indo Café had been located just across the street — but I didn’t notice it because it had by then been closed due to a kitchen fire. Simpang, on the other hand, opened its doors in 2002, first as an Indonesian market and only later adding the restaurant. By the time Indo Café re-opened I was in love with Simpang and had a hard time pulling myself away. 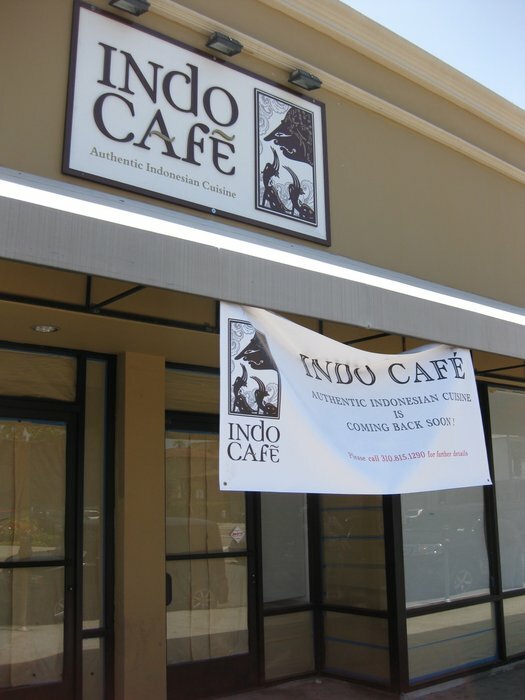 I fully intended to return but when Indo Café closed once more, it proved to be for good. 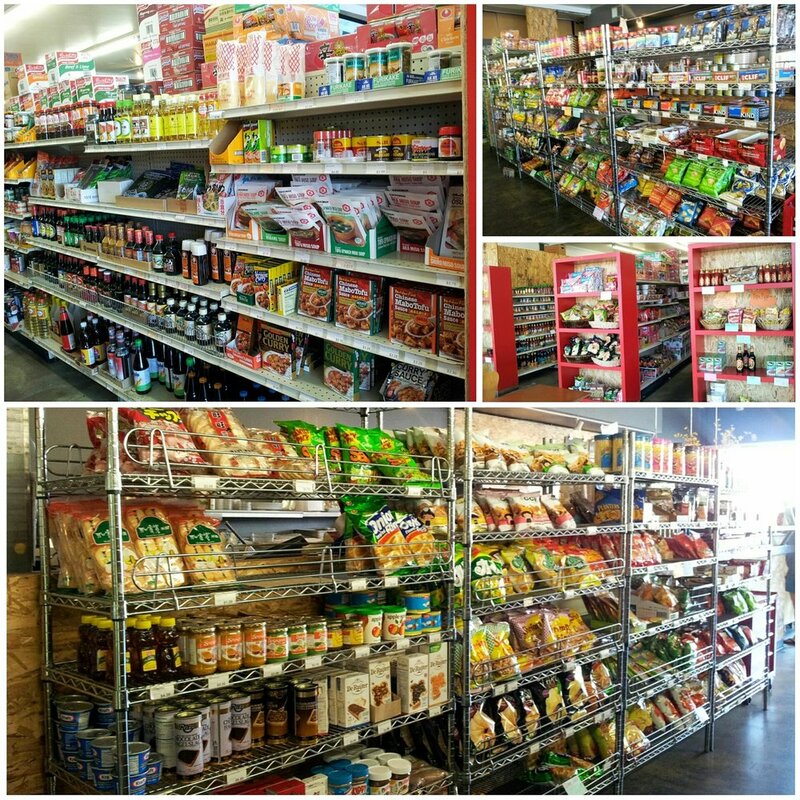 Simpang Asia: accessible via Big Blue Bus’s 3 line, Culver City Bus‘s 5 line, LADOT‘s Commuter Express 431 line, and Metro‘s Expo Line. 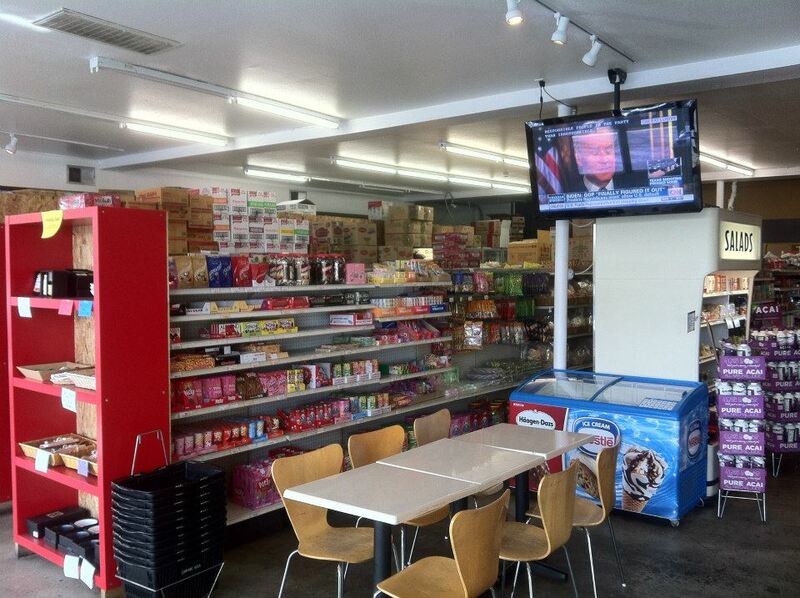 QQ Kopitiam (Pasadena) is accessible via Foothill Transit’s 187 and 188 lines, and Metro’s 181, 256, 686, and Rapid 780 lines. Top Restaurant (Pasadena) is accessible via Pasadena Transit‘s 10 and 60 lines, Foothill Transit’s 181 and 187 lines, and Metro’s 686 line. 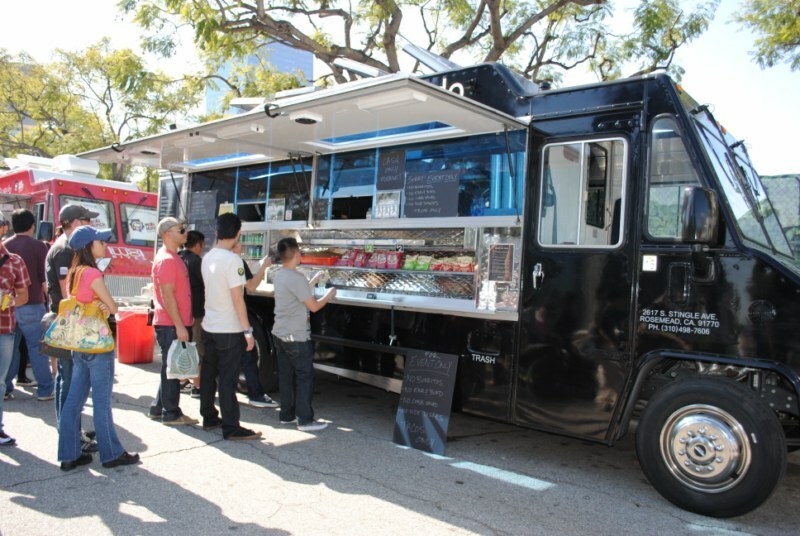 Aside from the aforementioned Westside eateries, there’s also Kaya Street Kitchen (Beverly Grove), 5i Indochine Bistro (Culver City), Komodo Pico and Komodo Truck (both Pico-Robertson), Singkawang (El Monte), Komodo Venice (Venice), Mr. Sate (Palms), Rinjani (Glendale — NOW CLOSED), and Uncle Fung Borneo Eatery (Long Beach and Buena Park). 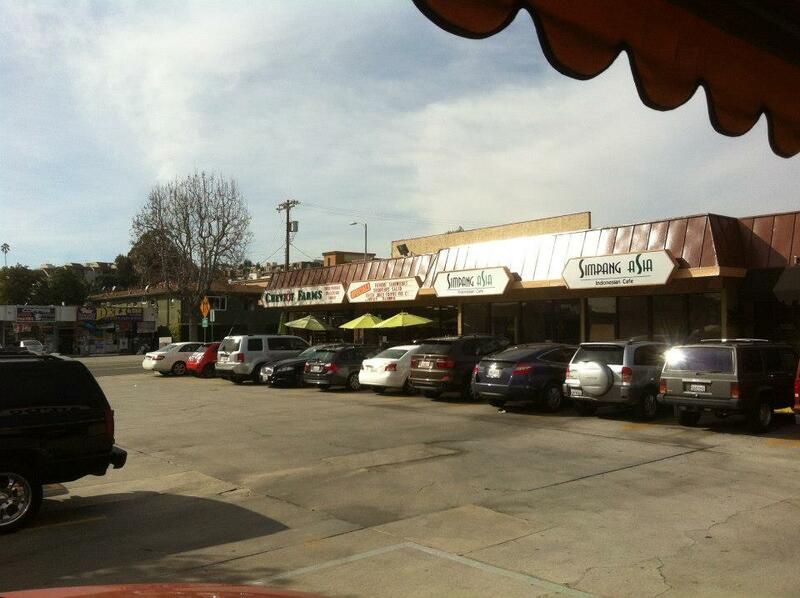 Indonesian restaurants found in other regions include Bowld (Toluca Lake), Dutch Bakery & Variety Foods (Ontario), Gowess Food Truck (Koreatown), Indo Ranch (Lake Forest), Java Bistro (Rancho Cucamonga), Kasih (Little Tokyo), Satayz Asian Cuisine (Colton), SEA Market (Loma Linda), Singapore’s Banana Leaf (Fairfax), Tempe House Spicy Food (San Bernardino), Toko Rame Indonesian Restaurant (Bellflower), Warung Pojok (Garden Grove), and Wok Coco (Anaheim). On 7 April 2017, from 5pm-10pm, a free Indonesian Night Market (Pasar Malam) is scheduled to take place, organized by Permias LA, Indonesian Bruins Association (IBSA), Permias US Riverside, and local businesses. Due to its small size, it requires an RSVP, but there will be a walk in window from 5pm-7pm. Student IDs can be used as tickets. Features include food, fashion, live entertainment, and art. The night market will take place at 1858 Echo Park Avenue (which I believe is a private residence), which is served by LA DOT‘s DASH Pico Union/Echo Park line. Indonesia celebrates independence on 17 August and the Indonesian Consulate General in Koreatown is the location of annual festivities. I haven’t yet been but this year maybe that will change. Another Indonesian cultural festival is the Los Angeles Indonesian Film Festival, which debuted in September 2014. Indonesian cinema isn’t well known in the US but Indonesia does have a respected cinema. The Pekan Apresiasi Film Nasional was established in 1955. Its name was changed to Festival Film Indonesia (FFI) in 1973. Indonesian film’s international stature (or at least its European validation) peaked in the 1980s, when Tjoet Nja’ Dhien (1988) became the first Indonesian film to play at Cannes. In the 1990s, however, Indonesian cinema suffered from an onslaught of cinematic imports from Hollywood, Hong Kong, and Taiwan. In 1993 the Indonesian Film Board (Badan Perfilman Indonesia) stopped organizing the ceremony. In 1998, Daun di Atas Bantal was awarded Best Picture at the 1998 Asia Pacific Film Festival in Taipei. The FFI returned in 2004. On Netflix you’re more likely to find films made in Indonesia by foreigners (e.g. Merantau, The Raid: Redemption, and The Act of Killing) than you are actual Indonesian films although on video the story is a little better. In the US, the Global Film Initiative distributes Garin Nugroho’s Rindu Kami Padamu (Of Love and Eggs, 2004) and Opera Jawa (2006), as well as Nan Achnas’s The Photograph (2007). Local organizations serving the Indonesian community include Indonesian Bruins Association (IBSA), Permias LA, and Permias Riverside. Whether it’s festivals, film, music, organizations, or restaurants — or photos — if you have any to add, please let me know in the comments and if it’s appropriate, I’ll add a mention and add it to this interactive map of Indonesian Los Angeles). Terima kasih! He is currently writing a book about Los Angeles and you can follow him on Ameba, Facebook, Goodreads, Instagram, Mubi, and Twitter.